A one-stop platform for people with disabilities and their families to access curated and customized resources from around the world. 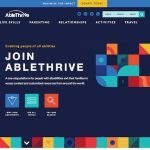 Curated resources from people, organizations, companies, and hospitals all over the world to enable people with all abilities to thrive. Adapting to disability is hard enough, finding resources shouldn’t be.